The Stars & Stripes Warrior Training Program will focus on enhancing each athlete’s strength, agility, coordination, stamina and flexibility. Athletes will have the opportunity to participate in warrior testing to measure the progress in various obstacle courses, while also testing their overall physical fitness. Our instructors have the knowledge to provide functional strength training to avoid injury in a safe environment, and will encourage excellence for kids to flourish and gain confidence in their own abilities while enhancing their athleticism for other sports. Welcome to the Little Warriors. This class offers an amazing parent and child bonding experience without life's outside distractions. Get ready because our little warriors get to move through different obstacle courses and challenges with the comfort of knowing that their parent is there for them. At this age we are discovering and learning about the world around us. In our Little Warriors class we get to meet other little warriors while we run, jump, swing, climb, and move in and out of all different types of obstacles. Don’t forget we get to challenge ourselves on the warped wall and are sure to run into fun. This is where the love of fun, fitness, and athletics begins. Bring your parent and let’s get ready to climb. Class requires a 1 parent: 1 child ratio. Does your little one love to climb, run and jump while making new friends? Then this is the class for them! Each week our Cub Warriors will get to play with others, while they move over, around and through different obstacles and challenges. Cub Warriors will get the opportunity to challenge themselves in a fun and safe environment that is designed especially for them. Kids are meant to move and smile. At Stars & Stripes that is exactly what they are going to do. Grab your little ones and get ready for fun and fitness with us! Our Panda Warrior Training classes will build not only strength and stamina in your child, but spirit and pride as well. Panda Warriors will be challenged to develop various grips and greater functional movements, as well as a greater sense of balance and stability. 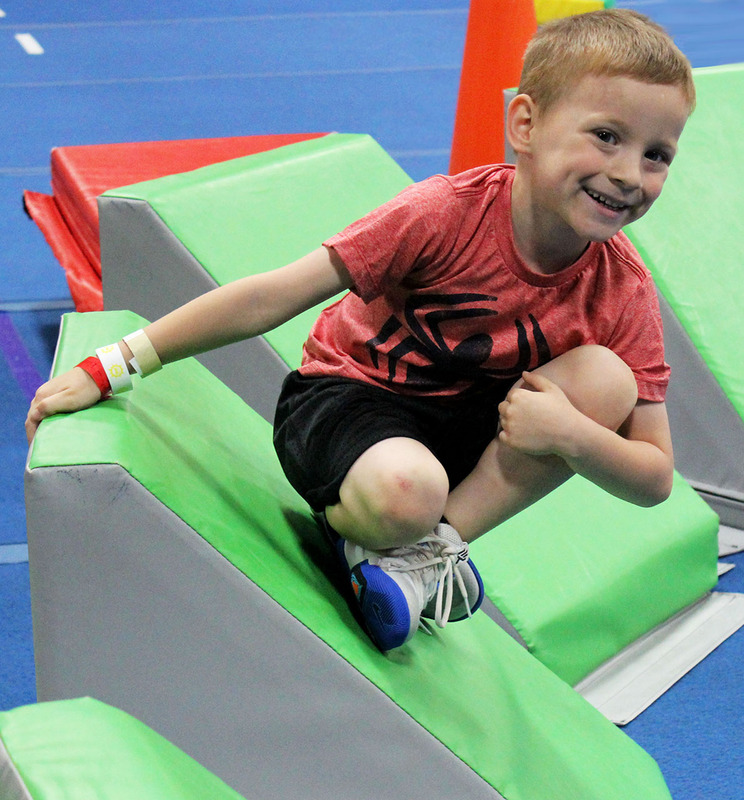 Whether climbing ropes, leaping from stability ball to stability ball, or running up the warped wall, we will safely challenge every student’s strength, balance and agility in the most exciting and positive ways! 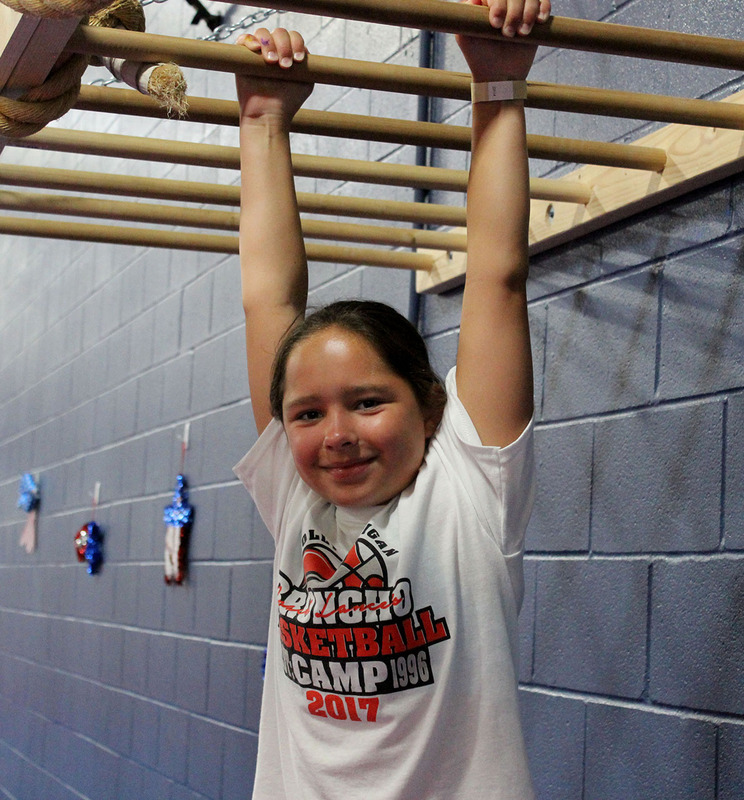 With bars, beams, cargo nets, a warped wall and a plethora of warrior specific mats, each student is sure to reach new heights! Our instructors have a knowledge of functional fitness training and will encourage physical activity with a welcoming and enthusiastic energy that will stay with your child well into the future! Our Dragon, Tiger and Eagle Warrior classes will build endurance, strength and confidence! These classes will build on skills learned at the Panda Warrior level and push new limits of skill with age appropriate activities. Your child will not only learn how to get stronger, but will put their new strength into action with exercises and obstacles that build muscle, body control and endurance! With ropes, various tests of grip strength, cargo nets, a warped wall and a plethora of warrior specific mats, Stars & Stripes is the environment to challenge and encourage their limits! They will test themselves on our ultimate obstacles while learning how to use their entire body to successfully accomplish the feats of a warrior. Our instructors have the knowledge to provide the functional strength training your child deserves. Each instructor will encourage excellence for every student to flourish and gain confidence in their own abilities today, and throughout their lives! Our Teen Warriors will focus on functional training, increasing strength, agility and overall physical abilities. Imagine a class that combines the individual opportunities of personal training, combined with the skill, work and obstacles of warrior training – it’s one heck of a workout! Whether participants are using warrior training to enhance their abilities in other sports, or simply trying to improve their physical fitness, this class is geared to meet the needs of your athlete. Each week athletes will focus on training specific muscle groups, such as arms, legs, core, chest and back, and understand how their muscles develop. Teen Warrior athletes will have opportunities to test their abilities in various obstacle courses involving speed, agility, upper body strength and body control. This class brings physical fitness and fun into one great big adventure guaranteed to bring out the best in your athlete. For the warrior who has proven themselves a cut above, there’s Elite Warriors! Our Elite Warriors show positive self-discipline and maximum effort in their practice. They have mastered all of the skills in the other warrior classes and have the opportunity to explore more challenging obstacles and strengthening skills. Elite Warriors will learn strength training skills like Turkish Get Ups and Muscle Ups, while mastering different obstacles that take a bit more thinking, and complete control. Using a variety of equipment, athletes will climb, swing and lift themselves on bars, rings, ropes, cargo nets, a warped wall, and loose foam pits. If you think you have what it takes to be Elite, join the warrior program and give 100%.